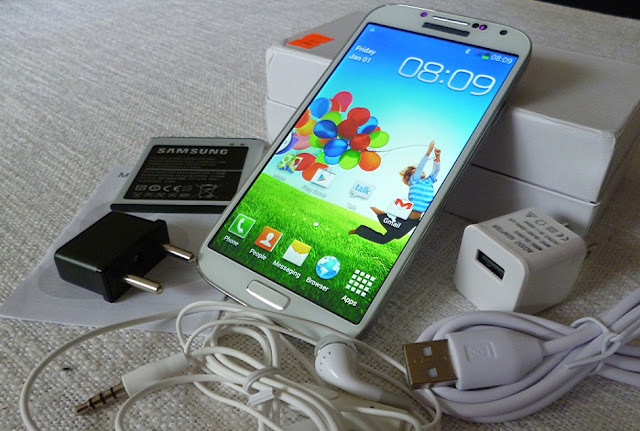 Samsung smartphones are selling like hot cakes all over the world despite of what ever hardware they contain. Samsung are making lots of smartphones for all and each categories in short period of time that helped to make a internet quote "Another Day, Another Galaxy". While the consumers grabbing their Galaxy phones, Some local phone manufacturers take this opportunity to their advantage. 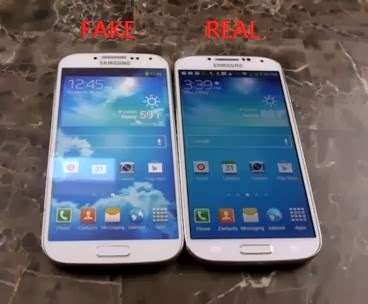 There are number of Replicas to some iconic devices made by Samsung, which makes people confused which one is the original and which one is the fake or the clone. There are noticeable differences we can find under Hardware, Software and physical view. Lets see what are the physical differences we can spot. What you see here is a low grade S4 clone. most easiest clones to spot. Home button is way below the screen, top and bottom bezels are huge, Samsung logo is big, Screen is not an edge to edge one,even it's not an 5 inch and the rear side features cheap plastic cover with pattern less design. Samsung branding could covered by a sticker as it can fade away when we scratch it. even the front side Samsung branding can be removed by few scratches. Battery is surely less than 2600mAh due to smaller dimensions of the phone. This is the real deal. The above image shows one of the best 1:1 clones in the market. Meet HDC Galaxy S4 Legend. 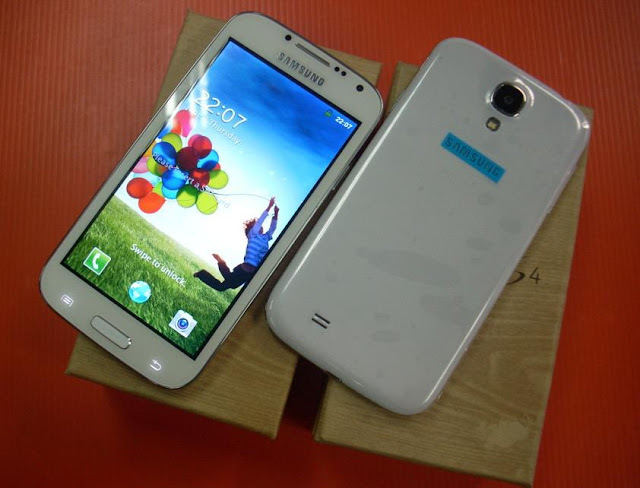 HDC mobiles is no doubt the best clone maker of Samsung handsets. As you can see, it's identical to the original S4 from physical overview. Latest version comes with a glass layer on top of the screen,so we can't scratch the logo off. screen goes edge to edge and features a real 5" screen, home button is on the right spot and back panel have those patterns that an original S4 have. 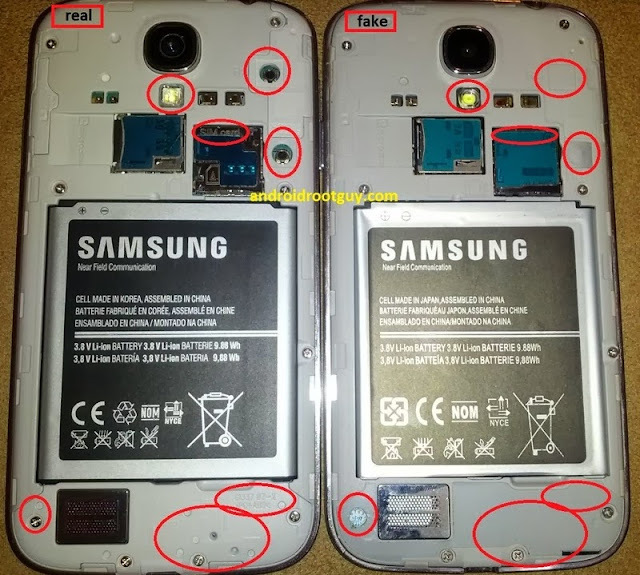 it's an advantage for S4 Legend users they can use original S4's battery and casings thanks to the copying skills of HDC. These clones have only hardware and software differences although the type of plastic used is different. On the Hardware Side Everything is different and cheap. Most S4 clones uses Mediatek processors clocking at 1.2Ghz, even though they are quad core or dual core chips, the architecture is Cortex-A7. Actually it's not bad for day to day use. but the problem comes when playing heavy graphics games and heavy multitasking. Storage is limited to 8GB or usually 4GB, and from that around 2GB is user accessible. RAM is 1GB in most S4 clones but pre installed edited AnTuTu app shows different values. As i mentioned before, best clones are made by the Chinese phone manufacturer HDC. if you pay a visit to their HDC Mobiles.com website you can see how the things work. The following image is taken from their site. These are the specifications of HDC Galaxy S4 Spark, Same conditions apply for S4 Legend. The screen is actually a 5" 720p IPS pannel. But in system info, it shows 1080p. And the Super AMOLED sticker on the phone will trick you thinking it really has a AMOLED panel. Like i said storage is 4GB and system shows 16GB. Batteries are the worst case. Clones bundles with 2 batteries in most scenarios. These batteries are showing 2600mAh but they don't have the real capacity. Original factory made S4 battery weights around 70g while clone batteries just 40g. From the software side, most clones run Android 4.2.2 Jelly Bean. Take another look at the spec sheet above. Android version is 4.2.9 what does that mean? There is no 4.2.9 version in Android 4.2.X series. The device could run 4.2.2 or 4.2.1 instead. HDC made custom UI is almost identical to Samsung's TouchWiz UI. Keep in mind you don't have split screen multi-window feature in clones although they have a side app bar. Those are the major Hardware differences in Clones. Now if you already know you have purchased a replica let's see what are the advantages and down sides. For those who got a replica by cheating sellers who sells these phones as original, i feel sorry for them. No Genuine Software Tweaks,camera modes and some sensors. 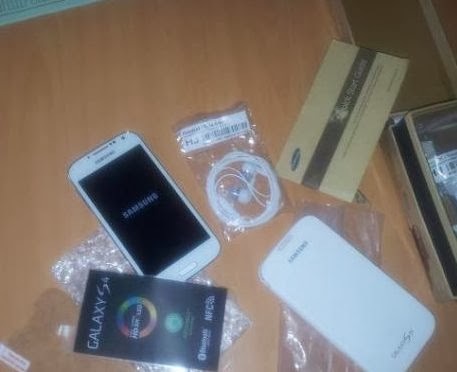 Most clones comes with a genuine wooden looking Samsung package. But inside contains flip covers and sometimes two batteries and small gadgets like USB card readers. Documentation and USB cable is present in the box but i have no idea about the headset whether it's a original or fake or about it's audio quality. These HDC phones are manufactured to work with Samsung codes like *#0*# but try to see if all things work by this LCD test code. if nothing happens for that code it's a replica. If these codes are working, then it is an original one. AMOLED screens have a deep vibrant colors while clones with normal TFT LCD or IPS LCD has whitish bright colors. And some replicas shows Android version as a latest but the build number shows what's really installed. see the image above. 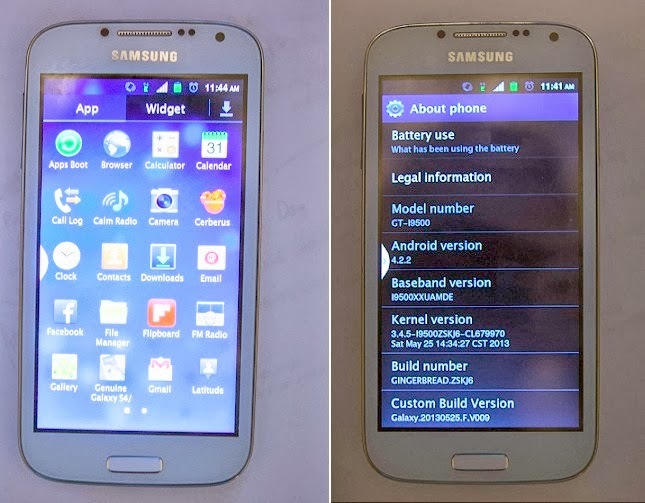 Android version is Android 4.2.2 but the build number is GINGERBREAD.25KJB which means it runs Android 2.3.x version. Finally by removing the back cover you can spot a replica as shown in the image below. Note : Most HDC clones comes under "Made in Korea By Samsung" manufacturer statement but it's Chinese for real. 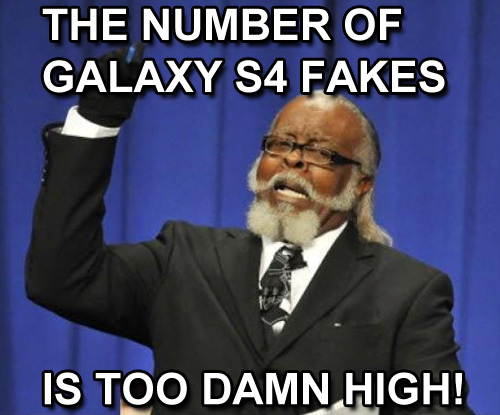 FINAL WORDS : If you want to buy an Original S4 from local store make sure to check the facts you saw in the post. If you owning an replica by purpose don't keep it in your pockets (specially males) for long time since we don't know about SAR values. If you want a buy a S4 replica, buy a HDC Legend and also buy factory made Samsung battery since it's the best clone available currently in the market. These factors apply for the other Samsung phones as well. But i wanted to talk specially about Galaxy S4 as it's the device most people wanted to get in their hands. Hope this post would help you guys and if have any questions or you know anything more than this please feel free to share with us in the comments below.